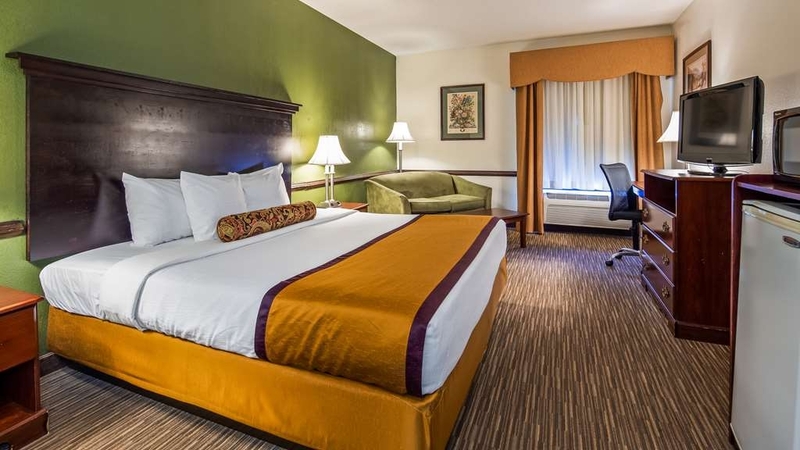 Das Best Western Plus South Hill Inn ist ideal in La Crosse Stadtzentrum zu finden. Erleben Sie ein schöner Aufenthalt in der Nähe von alle Sehenswurdigkeiten. Bestpreisgarantie und exklusive Angebote. 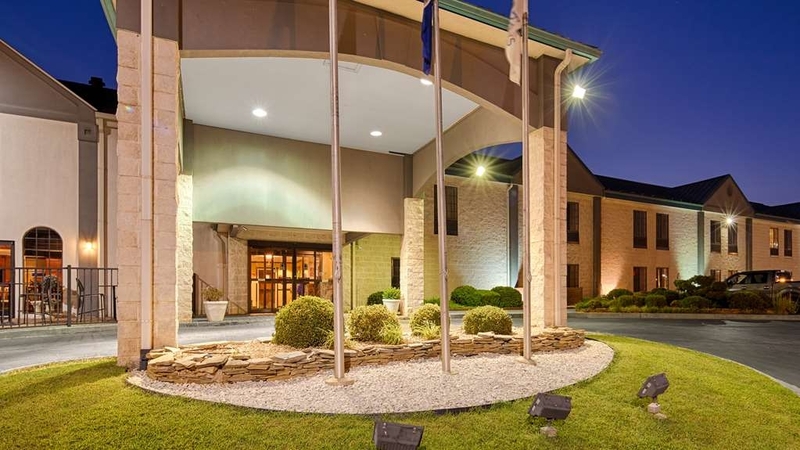 Das Best Western Plus South Hill Inn ist ein familienfreundliches Hotel abseits der Interstate 85 in South Hill, Virginia. Dieses Hotel liegt in Reichweite der schönen Seenlandschaft von Virginia mit Lake Gaston und Lake Kerr. South Hill bietet Gästen viele regionale Sehenswürdigkeiten, darunter das South Hill Model Railroad Museum, das Virginia S. Evans Doll Museum, Naturausstellungen im restaurierten South Hill Depot im Stadtzentrum, das Tobacco & Farm Life Museum in Virginia und das Colonial Theatre. Die Gästezimmer des Best Western Plus South Hill Inn sind geräumig, preisgünstig und mit Mikrowelle, Kühlschrank, Kabel-Satellitenfernsehen, 32"-Flachbildfernseher und kostenlosem drahtlosem High-Speed-Internet ausgestattet. 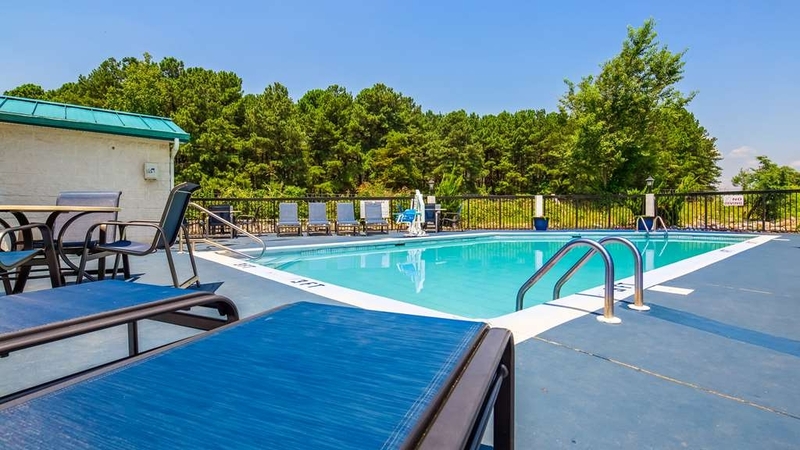 Zur weiteren Ausstattung dieses bezaubernden Hotels in Virginia gehören ein Swimmingpool im Freien und ein Fitnessstudio sowie Geschäftsdienste und Tagungseinrichtungen. Morgens wird ein kostenloses komplettes Frühstück serviert. Gäste dieses Hotels sind ganz in der Nähe von The Boyd Tavern, Whittle's Mill und Prestwould Plantation. Nahe gelegene Unternehmen sind beispielsweise die Unternehmenszentrale von Peebles, Pioneer Machinery, BFG® Industries und Brodnax Mills. Buchen Sie im Best Western Plus South Hill Inn, und erleben Sie erstklassigen Service! Wir wünschen einen schönen Aufenthalt. We have been visiting family in Virginia over the past couple of years. We stopped at this location because it is in between Charlotte, NC and northern Virginia. The rooms are clean and the hotel is generally very quiet. We usually stay overnight, but if we had to extend our time, we would definitely do it here. The staff are very accommodating and the breakfast is good. The coffee is fresh brewed, not from one of those coffee machines. All in all, a nice place to put our feet up for the night!! "Not worth the money at all"
Could not believe how expensive this place was. I was expecting fancy for the price. The breakfast was average at best, no fruit at all. The bed was lumpy. The staff were nice. Best I can say about them. Experience & facility Best Western (BW) MINUS! Beware. I have stayed at numerous BW hotels, both Plus and standard over many years. This facility ranks dead last, in my opinion. Noisy hotel - could hear person cough in next room, blow dryer across the hall, conversation between persons in another room, and TVs constantly. Bed uncomfortable and sagged. No pillowtop mattress or pillow top mattress cover. How cheap! Pillows are half size & we only had 3 little pillows for 2 persons. That meant one of us had only a half pillow. Both sink faucet & shower faucet leaked. Not possible to report problem since there was rarely staff at reception. Very small room. Presence of Damp Rid containers in windows of 1st floor rooms indicates problem with mold. Are there not standards for Best Western Plus hotels, let alone Best Western hotels? Dear Ms. Reiling: Thank your for letting us know how we can improve our hotel. I will have a few meeting with all of our departments to discuss how we can improve our guest experiences. If you would like to discuss any items in further detail please do not hesitate to contact me at (434) 955-2777. And again thank for being a Platinum Best Western Rewards member. Respectfully: Jay R.
"Best Western Plus is phenomenal!" I had a great stay. The employees were very kind, helpful and caring and made me feel at home. My room and the cleanliness was perfect along with the service from housekeeping and front desk. Breakfast consisted of many varities that were very delicious. I recommend this hotel to anyone. "Clean room, friendly front desk but...."
We wanted to like this hotel,especially at the end of a long day and 10 hours in the car. But the room was muggy and the bed was not good. The mattress felt old, the sheets were wrinkled. A poor nights sleep. When I complained I was told that all the mattresses were the same and they couldn't help it. "Not up to Best Western standards"
We arrived in the late afternoon and check in was quick. We found our room to be adequate and after further inspection, we saw it had not been cleaned well and the bed linens had not been changed with hair and stains detected on the sheets. We notified the front desk clerk after we found him outside smoking. We were moved to another room upstairs and it had clean linens and it had been cleaned. The pool was found to be very dirty with leaves, plastic cups, and other debris at the bottom. Breakfast was okay and what you would expect from this type of hotel. The juice machine was defective and there had not been a delivery so there was no fresh fruit available. We do not plan to stay here on our return and will use other hotel options I do not recommend this hotel and it clear is not up to Best Western standards. Dear Mr. Chuck Dickens: I apologize about the first room that you were given, but once an issue is brought to our attention all of our staff will assist our guests to solve the concern. Please call me directly at (434) 955-2777 to discuss this further. Respectfully: Jay R.
My family and I stayed here a few times. Everytime we stay we absolutely love it here. The room arr great and the staff is amazing. Thank yo so very much and we will see you guys again in the very soon. I researched and booked this because of the good reviews and good price. Positives: all staff very friendly, hot shower with good water pressure, shower/toilet separate from sink area, comfortable bed, nice TV, WiFi reception, quiet from highway noise, many choices for breakfast. Negatives: VERY old, rundown, and dated! Ugly carpet in hallways, room had humid, musty smell which never went away in spite of AC & fan in room, handle fell off ice bucket lid, door handle on back of bathroom door fell off, ONE tissue left in tissue box, cheap toilet paper, no exhaust in toilet/shower room, breakfast was average-eggs and sausage were premade and looked inedible. This was the worst hotel we've booked in a long time and were glad to leave. Dear Carmellatte: Thank you for giving us a try! Our goal is to provide the ultimate guest experience. Next time you stay with us please give me a call (434)955-2777 directly so I can help plan your trip and also give you information about our safes at the front desk. Respectfully: Jay R.
Such a friendly staff! The check in process was seamless and the front desk clerk was very helpful. She helped our group get settled and took care to give us some great recommendations for dinner after a long day of riding. Dear Jay M.: Thank you for staying with us. I know that riding all day takes a lot out of individuals so when our guests enter our property we want them to relax and let us pamper them. Please give me a call directly (434)955-2777 so I can help plan your other riding trips. Respectfully: Jay R.
Older property that is undergoing improvements now - painting, sprucing up, etc. Parking is close to rooms and with very convenient doors on each end of property, it's easy to load/unload your car. Nice breakfast with usual hot/cold items, free USA Today papers, in-room frig, comfortable beds, good-sized rooms, right off the entrance to I-85 (but quiet), and, not too expensive - what's not to like? Dear Mr. NH_Joe: We are always striving to make our hotel better every day and we are currently under renovations which include, new public carpets, new signage, new WiFi system, new phone system, new lobby and breakfast furniture and new parking lot paving. Respectfully: Jay R.
Convenient location, comfortable rooms, nice hot breakfast. . Rooms were spacious and clean. Lots of dining options in the area. Set back from highway so it's quiet yet close to everything. Definitely a good stop. Dear Mr. Frank R.: Thank your for staying with us. Our location is one of our strengths. It is convenient for our guests to just come off the highways on their travels and stay with us. Please do not hesitate to contact me directly at (434) 955-2777 is I can be of any assistance during your travels. Respectfully: Jay R.
This is our 2nd stay at this hotel, within a 4 year period. There was a smell in the hallway. Upon entering our hotel room, we noticed a loud beeping. The fire detector batteries need to be replaced, we informed the attendant and she changed our room. There were a good deal of options for breakfast, eggs, oatmeal, make your own waffles, cereal, juice, coffee tea and yogurt. The only downsize to this is they prefer you to eat in their dining room area and not take the food back to your room. Which is not ideal for people like me who eat later in the day. I'm not a breakfast person and I like to take my food back to my room, so I can eat it later. The upside to this hotel stay was the staff, they were friendly and accommodating. However, due to the breakfast situation and a couple of other issues, we will probably not stay here again. Dear Ms. Iesha R.: I apologize about breakfast, we only ask our guest not to take food back to their room's in order to help the USDA and the EPA reduce food waste by half by 2030. Respectfully: Jay R.
Had been driving from New Jersey all night and was tired. Stopped by the Best Western that Saturday morning around 9. The front desk clerk (tall african-american lady) got me in a room, even though check in was at 3. Very Nice. Bed & Room was very clean. Also Breakfast was good the next morning. Front Desk Clerk is a Dallas Cowboy Fan & I am a New York Giants Fan. We had a great convo at the front desk. She is very funny. Will definately return there for my future stays. Dear Giants4life: We want our guests to have the ultimate guest experience, which includes checking our guests in if we have the available room ready. Please do not hesitate to contact me directly at (434) 955-2777 to plan your next trip. Respectfully: Jay R.
"My night at Best Western"
Front desk staff was friendly and knowledgeable and signed me up for the rewards program. He also helped me carry my luggage and loose items to my room. It was after dark and this made me feel safer as well as lessening my trips to the car. The complimentary breakfast was good and saved me time on my trip. I slept well and turned the heat up so I was warmer. My only complaint was that the toilet seemed awfully low and I had to use the door handle and tub to get off the toilet. Dear Ms. Judyanns: Making sure our guests feel safe and secure while staying with us is very important. We also want our guests to be full before they leave us, so the can save time and money on their trip. If you need help planning your next trip please do not hesitate to contact me directly at (434) 955-2777. Respectfully: Jay R.
Visited this hotel for two nights while visiting family in the area. Not a lot of options for hotels in this small town. Everything was average, from the room quality, wi-fi strength and free breakfast. Don't expect any frills--just a bed to sleep in. Tight room for family of 4. Dear Ms. Nadia H.: I do apologize that your stay with us was only average. We are in the process of a full renovation, which will include a new WiFi system, new paint in the guest areas, new breakfast furniture and next year new guest room furniture. Respectfully: Jay R.
Very good hotel to stay. Comfortable bed. Good HOT breakfast - waffles, eggs, sausages, cereal, fruits, etc. 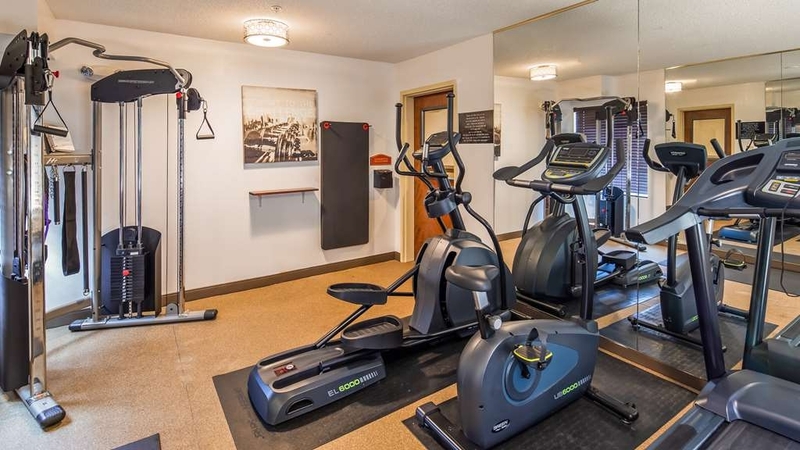 Fitness center, but too tired to use. The hotel is very near to highway. There is Walmart nearby for any shopping you want to do. Overall very satisfied with staff. Kept my room reserved even for late check in. Dear Kunalp263: I am glad you enjoyed our complimentary hot breakfast. Breakfast is the most important meal and we want our guest to start the day off right so they can conquer the day. 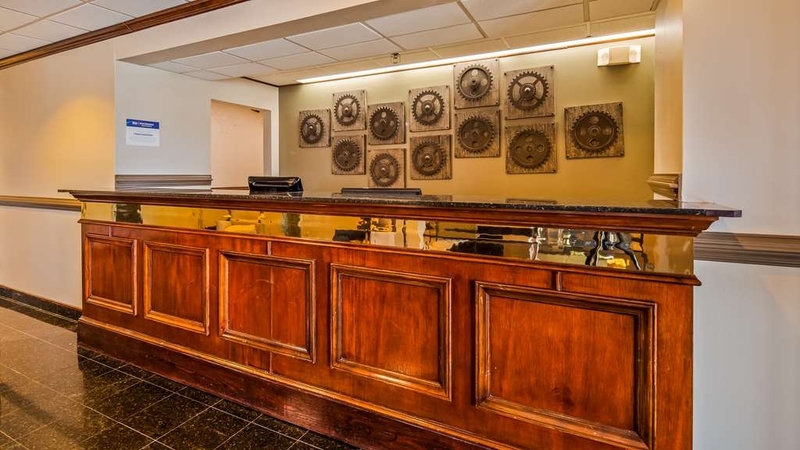 Respectfully: Jay R.
The Best Western Plus in South Hill, Virginia is a great hotel to stay, great location, eascy access off the Interstate, eacy access to all of South Hill, to whatver you may need while in the area. Hotel is clean, and the entire staff is so pleasant and always make your stay the best possible. Rooms are clean and smell that way. Beds are comfortable. If you want a great hotel to stay at while in South Hill, Va, the Best Westerm Plus should be that hotel. Dear Mr. John S.: One of the benefits of staying with us is our location. We are conveniently located on Hwy 85 and Rt 58, so our guests can stop and leave to go on their journey easily. While your stay with us it is also easy to relax and unwind, while we take away all of your worries for your stay at least. Before your next trip please contact me directly (434) 955-2777 so I can help plan it. Respectfully: Jay R.
Dear Mr. William Q.: Thank you for choosing us for your work trip. It means alot to us that you stay with us when you are away from your own home. We have created an environment that closely represents home, with that warm feeling. The ways we differ from home is that staying with you do not have to make your bed or make your own breakfast. Respectfully: Jay R.
I was here for a business trip, and we all stayed at the Best Western Plus in South Hill. This was one of the best, accommodating places I have ever stayed, we enjoyed every second of it, staff was also very amazing and helpful. 10/10 would recommend. Dear Jaspreet V.: We not only cater to families during their special time together, we also cater to business travelers that are away from their families. We create an environment of home while our guests stay with us. Please contact me directly at (434) 955-2777 so I can help plan your next work trip. Respectfully: Jay R.
I am a wedding planner and booked this hotel for my wedding guest. Everyone that stayed here enjoyed there stay. Rooms were very clean and comfortable. The all enjoyed the breakfast that was provided. Dear Sherry H.: Thank you for allowing us to be a part of the couples special day. Making it a memorable time in their lives for them, their friends and family. Respectfully: Jay R.
A great place to stay after being on the road for twelve straight hours. Driving through rain, fog, heavy traffic, it was nice to have a quiet place to rest and rejunivate for the next day. A most satisfying respite. After a day of motorcycle travel, it was a great place to relax and recharge. The gym had three machines and a weight setup. It was small but the stationary bike was easy to use (program). The outside pool looked very clean but had a closed sign on the gate, even so we were able to lounge around the pool and enjoy the evening. The rooms were very nice and had great beds. I highly recommend this hotel and would stay here again. The front desk staff was wonderful and had a great recommendation for dineer. "Great Service/location, Very Clean BEDS UNCOMFORTABLE"
Great service, great location...only major issue were the beds. They were uncomfortable (hard/slanted). The door lock repeatedly malfunctioned on the first day but, was replaced on day two. The sink drained slowly the first day but, was fixed by day two. I stayed here for one night on a recent business trip. The hotel itself is very clean except for the pool area. It looked a bit run down but the water was clean. I stayed in a King suite which was very nice except for the mattress. The room was very clean but the bed itself needed updated. You could here and feel the springs in the mattress and I'm 6' tall at 195lbs. The breakfast was not all that great for this level of hotel but the cinnamon rolls were tasty. My first room had a window that would not lock (it was on the 1st floor) and the window would also not close all the way, leaving a 1/4 inch opening. The second room had a tilted floor. The phones were out for the entire hotel. After showering the day I was leaving, I saw blood on the inside bathroom door knob. the sink sprayed water at an angle and would get you wet. "Good stop on the way to the mountains." Very nice hotel, slightly aged. Rooms, service, and the breakfast is awesome. The pool area and the exterior & landscaping need attention. The hotel should monitor the pool area for rule offenders as well as cleaning the leaves out of the pool. "Nice hotel , pleasant staff"
Sadly, the room was totally loud. Our room connected to another room and we could hear everything the other couple was saying through the door! The hallways were loud as well-we could hear people walking down it. The bed totally sagged adn the pillows were rock hard. We found a quarter under the desk which led us to wonder just how clean the room was. The staff was fantastic but that was about the only saving grace. Sadly, it would not be enough to bring us back. I did a business trip and I decided to stay at this hotel because I read the reviews and they were good, but I believe that the hotel changed management or something happened because my stay at this hotel was simply horrible and disgusting. As soon as I arrived in my room I noticed that my bed had somebody's hair and a few small stains of blood on the sheet ,the pillows stank of sweat and my blanket had a big stain that I could not identify, besides that the furniture is old and had a lot of dust on the headboard (I think the hotel needs a new house keeping team) I went to the front desk and asked the attendant for a clean pillowcase, sheet and blanket, although she saw me still took a few minutes to answer because she was on the phone with someone and the content of the conversation was personal. After she gave me clean sheet and pillowcases, I was informed that she did not have any extra blankets to offer me. Honestly it was the worst hotel I have stayed in the last 10 years I'm a field engineer, travel is part of my job, so I'll beg you to avoid this discomfort and look for another hotel to stay. Very nice location. Easy access to the interstate.Clean exterior and exterior. Pool was clean and very easy access. Jay, Sharon and the entire staff will always go the extra mile to make your stay the best possible. Rooms were very clean, beds so very comfortable and extra pillows. Have stayed at this location many times and will do so again and look forward to my next stay. "A Very Good Stay at Best Western"
Very satisfying stay. Exceeded our expectations. The hotel manager Jay checked us in and he was very helpful and friendly. The room was clean and comfortable and a nice size. The furniture was a little dated, but OK. The breakfast was satisfactory, no complaints. Great coffee! The fitness room has new equipment and the temperature was low enough that you could have a vigorous workout without sweating to death. We would definitely consider staying here again. "Good stay while in town"
My husband, daughter, and I stayed here for one night. The clerk was very friendly and offered our choice of room - close to the pool, close to the entrance, etc. and offered recommendations for places to eat. Room was clean, pool was nice, breakfast was ok. Bed was hard, but I'm spoiled...I love my mattress. "GREAT PLACE TO STAY ON A ROAD TRIP"
The BW at South Hill, VA was a great place for us to stay; it was our 1/2 point to our destination. We arrived late in the evening the lady at the counter was very friendly. After working all day, leaving during rush hour and being in traffic. It was nice to arrive and being able to sleep well in a very quiet hotel. Dear Ms. Viola T.: Thank you for choosing us for your half way stay on your trip. One of our goals is to make our guests feel recharged by staying with us. If you need help with your return trip please do not hesitate to contact me directly at (434) 955-2777. Respectfully: Jay R.
Nice hotel, but several of our towels had stains on them, the front desk did apologize and informed me that they had an issue with their dryer. They price and the location was good and was the only hotel in the area that had rooms available. Dear Ms. Gina O.: Once again my condolences on the loss of your father. I know it is hard with the lose of a parent. Please contact me further at 434 955 2777 if your would like to discuss any concerns that you have. Respectfully: Jay R.
I stayed here with a group while participating in a cross country run and the staff were amazing. Jay was gracious and welcoming, and the room was in great condition. Would highly recommend staying here! Dear RollingStone169: It was an honor that you were able to stay with us on your charity run. Respectfully: Jay R.
Hotels generally have subpar air conditioning but this one blew cold all night long. Breakfast was actually pretty good for a complimentary meal. The guy at the desk was very nice and even helped me book an extra room I needed. It was delightful and i can't say enough about my stay. Dear Mr. Mathew W.: Thank you for allowing us to provide you with the ultimate guest experience. If you need help with your next stay with us please do not hesitate to contact me directly at 434 955 2777. Respectfully: Jay R.
"South Hill best western "
Excellent service and accommodating workers. The rooms were really nice and the atmosphere was great. Great place to go if you are in town for business. I highly recommend the king size beds and the complimentary breakfast. If I could give it no stars I would. It was late and there was 2 hotels left to choose from in town. Everything else was 40mi away. BW was $119/night plus tax. NOT worth it!!! We've stayed at other BW in the past many times. Reviews were hit and miss so we decided to stay. Our room looked dirty and dated! The bed sheets had little black hairs on them, (looked like pubic hairs EWWWWwwwwww!!!!!!!!!) what looked like blood and there was crumbs on sheets. So my husband and I slept on the comforter which I'm sure wasn't much cleaner. Would have changed rooms if the other 2 people in my party hadn't already feel asleep. Whole hotel and room smelt horrid especially when the air was on. Hotel is right beside the interstate so it was super noisy. Must have had a giant on floor above us walking around; could even hear their toilet flush. Walls were paper thin- heard doors shutting all night. Worse sleep I ever had and worst hotel I've ever been in. Shower head was green and spider was crawling up wall. Fridge in room looked old and dirty. TV had only 12 channels to choose from. There was no one at front desk when we went to check out. The lady over the breakfast had to go find her. I told her that the sheets needed to be changed- that they WERE NOT changed before we came because of all the hairs and crumbs. All she said was sorry and it's hard to find good housekeeping. Breakfast was decent: water, orange juice, milk, Raisin Bran, cheerios, Frosted Flakes, sausage and biscuits, mini cinnamon rolls, bacon, and muffins. At least we got a couple hours rest so we could continue on our trip. On a plus note the ceiling was glittery. There are 4-5 motels at this exit. We chose the BW because of the loyalty program. It is quiet, beds are comfortable and it is easy freeway access. Best rates are on the BW web site. Staff seems to be in training at the front desk. "Stay at the Fairfield Marriot instead. This place is a dump!" If only I could give zero stars. The hotel itself always felt dark and uninviting. My room was fairly clean, until you look deeper and see things like pink mold growing in the showerhead. I get that this is a budget hotel, but it seems like absolutely every corner was cut: the bathrooms have no fans to ventilate steam (hence the mold), the beds are rock hard with low thread-count sheets that are gritty, the pillows are lumpy, the towels are cheap and also gritty, and the free internet is so slow and unreliable, I spent most of my time trying to figure out how to share my phone's data connection with my laptop and pray to the cell phone gods that it would work because it was significantly faster than the wifi -- and with no option to pay to upgrade my speed, even. The "food" served for breakfast was beyond the pale. I know those "eggs" came from a powder mix -- there's no way that came from a chicken. I quit after one bite; they were like flavorless yellow sponge. The owner/manager of the establishment also tried to tack on extra charges to my travelling companion for supposedly smoking in her room, completely ignoring the fact that all of his smoking patrons congregate outside her room, not 15 feet from her window and A/C unit to smoke tobacco and marijuana (we both smelled this, and I smelled it before even knowing where the smokers congregate). Utter nonsense. We checked out 3 days early to stay at the Fairfield Marriott and couldn't be happier we did. Don't stay here unless you literally can't afford anything else, and even then I would recommend checking out the Days Inn or another chain hotel. Dear Jiepper: I apologize that your stay with us did not meet your expectations. If you would have informed anyone of our staff members during your stay we would have discussed your concern to make your stay with us a pleasant one. If you would like to discuss your concerns please contact me directly at (434) 955-2777. Respectfully: Jay R.
Dear Marky334: I apologize about your stay with us. Please contact me directly at (434) 955-2777 so we can discuss what improvement plans I have implemented so this concern does not happen again. Respectfully: Jay R.
"Wonderful place to stay when traveling,home away from home." Dear Ms. PatricaI2343AA: Providing the ultimate guest experience is one of the most important thing we do here for our guests. We want our guest to relax and unwind when they stay with us so they can focus on themselves. Let us provide you with a comfy bed, a hot breakfast, free WIFI and our guest services team will provide you what ever else you require. Before you plan your travel please contact me directly at (434) 955-2777 so I can help you plan your trip. Respectfully: Jay R.
They've tried to update it but it's definitely an older hotel. The décor is modern but still has the popcorn ceiling. Good location - easy access to the interstate and restaurants. Bed was okay. Bathroom is very small and has no ventilation. Rooms do have mini-fridge which is always nice. It was not the cleanest (or dirtiest) hotel I've ever stayed in - stuff on the carpet was gross. But it was low-priced. Dear RazorbackWARD: We understand that our property is not the newest but the guest service that we provide our guests second to none. We are in the process of remodeling property: currently we are updating our weight room, guest door locks and public bathrooms. We plans for further remolding in the near future in order to provide the ultimate guest experience. Next time please contact me directly at (434) 955-2777 so I can help you with your travel plans. Respectfully: Jay R.
"Overnight Stay in South Hill, VA"
I stopped in South Hill for the night while I was on a road trip to North Carolina. I had never stayed at a Best Western before and had limited knowledge of the South Hill area so I wasn't sure of what to expect. I was pleasantly surprised. Pros: Service was fast and friendly. The bathroom, foyer & beds were updated. There was a fitness center and laundry area (coin operated machines). The breakfast buffet included waffles, biscuits, gravy, eggs, bacon, cold cereal, pastries and coffee service. The hotel also had an outdoor seating area for eating and an outdoor pool. Cons: The carpet & furniture were dated. The lock on the door of the fitness center was broken. The remote said that it was designed for easy cleaning, but it was dirty. Overall, it was a comfortable stay. You can tellthat the hotel is making an honest effort to stay up-to-date and provide a pleasant stay. I would stay there again if I needed to stop in the South Hill area. Dear Ms. KatyD12345: It was a pleasure having you stay with us and allowing us to provide you a wonderful stay with a hot breakfast after a comfortable night's rest. We are in the process of remodeling property: currently we are updating our weight room, guest door locks and public bathrooms. We plans for further remolding in the near future in order to provide the ultimate guest experience. Next time please contact me directly at (434) 955-2777 so I can help you with your travel plans. Respectfully: Jay R.
I stayed at this property the week of 10/06/2016. The toilets in the building failed to work, the internet failed to work most of the time, we had mold on the ceiling in the bathroom, dust and dirt blowing from the A/C unit . After giving management a couple of days to correct the problems in which they did not we contacted our credit card company (American Express) who we booked the hotel with for help in resolving the issue in vain. we were offered a 10% discount by (Sharon) management . We checked out and moved to another hotel across the street (Hampton)for the remainder of our stay trouble free. To date I have not seen the 10% promised it appears rather than be fair and offer a larger discount the management decided to give into greed. I will steer clear of this place on my other trips. Dear Screenish: Even though we are an older property we make sure we provide our guests an affordable and comfortable stay. We are currently in the process of a hotel renovation which will modernize the hotel. On your return trip or next trip to Georgia please contact me directly (434) 955-2777 so I can help plan your trip. Respectfully: Jay R.
I was only here for 8 hours, checking in at 1 a.m. after an exhausting 18 hour day, but they had exactly what I needed: a speedy check-in / check-out, heavenly bed, hot shower, fantastic breakfast, friendly staff. I'll stay here again! Dear Mr. John M.: We here at the Best Western make it a priority to provide our guests and experience that make them feel at easy. We want our guest to leave all of their problems at the door and enjoy their stay so they can conquer their concerns. We offer an express check out a comfortable bed, hot breakfast and pride in our customer service. On your next visit please contact me directly (434) 955-2777 so I can help plan your trip. Respectfully: Jay R.
"Decent but won't be back!!" Really this hotel is like the reviews. It is decent. I didn't feel like the room was really clean. When we opened the door to the room there was a weird funky smell. I sprayed some Lysol and it went away. I thought there was green black mildew on the chair rail on the wall. But it was where they spray painted the wall and didn't bother to get the green paint off the dark brown wood. Pillows had some stains. There was stains on he white cover that the long scarf covers. If you just want a place to sleep and don't care about feeling comfortable, this is it. The pictures online are misleading. I kept feeling like something was bitting me in the bed. And the mattress was worn and uncomfortable. I will be in the area next week for business. I'm making other arrangements. The hotel was okay. Being that they are named Best Western Plus, I guess I was expecting a lot more. The staff was exceptionally friendly, from Jay at the front desk to the person that managed the breakfast buffet. I was in room 112. The furnishings appeared to be a tad dated and the ottoman could use a good cleaning, but overall, it was sufficient. Speaking of breakfast, it was more than I expected. I would in all likelihood stay here again if my future travels took me to South Hill again. 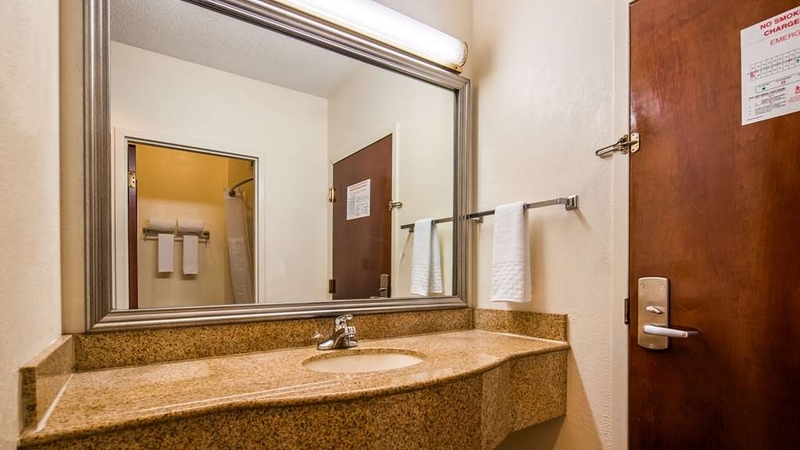 "Nice SIte off a major roadway"
This was a decent Best Western Plus with very friendly staff and a location near to several restaurants and stores where guests could dine or buy food and goods for a longer than overnight stay, if necessary. The pictures, however, present a much more attractive internal and external site than is the actual hotel. "Best Western Plus, South Hill, VA"
Our stay here on July 30, 2016, was very pleasant. The people at the desk for check in and check out were very nice. The woman who was keeping the breakfast replenished was very nice. The room was comfortable. We will stay there again next summer if we get to go again to the family reunion nearby. Before checking out the next morning, we went to the Virginia Evans Doll Museum and the Train Museum, side by side on S. Mecklenburg Ave., and enjoyed both very much. I wrote a review of this hotel , a few weeks ago, and posted pictures. I am not sure why it is not seen here. It is important to know that the back door to the pool DOES NOT CLOSE ALL THE WAY AND DOES NOT LOCK! When I stayed July 12th, 2016, the door remained unlocked all day and NIGHT. I went to my car at 3am and could get back in by just pushing door. No key needed. Anyone has access to this hotel from the rear/pool door. I found Best Western Plus to be a very nice hotel. My husband and I were celebrating our wedding anniversary and decided to stay at your hotel. The staff was very courteous, the suite was nice and clean and smelled really nice. The breakfast the next morning was excellent. We really enjoyed our stay there and plan to come back and stay again just for a getaway in the near future. We stopped here on the way to the DC area. We didn't have reservations since we didn't know how far up the road we would get. We called before arriving to see if they had two rooms available and fortunately they did. The lady at the front desk was very nice. The rooms were clean and the beds were comfortable. Our rooms did face the highway but we didn't notice any noise. We also didn't notice any noise from the adjoining rooms that others have complained about. Breakfast was good. They have two waffle irons. One makes large waffles while the other makes 4 mini waffles (perfect for kids). There was scrabbled eggs, bacon, sausage, cereal, milk, juices, etc. It was better than what many places offer for breakfast. Dear Mzama5: We are honored that you stayed with us on your trip to DC. Our goal is to provide the ultimate guests experience. We try to make sure that when our our guests stay with us we provide them with a clean, comfortable room to relax and then provide them with a hot breakfast to start the day off right. Please call me directly at (434) 955 2777 so I can help you with planning another trip. Respectfully: Jay R.
"No parking for boats or RVs"
We had a reservation for this hotel and asked before it was made if there was parking for the boat trailer we were towing. We were told yes. When we got there, we noticed there was no extra parking lots that would accommodate our trailer or for those with RVs. The hotel did not charge for the cancellation, but we would not have picked this hotel and ended up at one without a pool. Dear Meadow03: I do apologize that you had to go to another hotel, one without a pool. Our RV/Boat parking is not marked, but we do have electrical hooks up and can accommodate 6 RV's/Boats. Next time please contact me directly at (434) 955-2777 so I can help you make a reservation so you can charge your RV/Boat, as well as, enjoy our pool. Respectfully: Jay R.
"Needed a place to close our eyes"
Just needed a place to close our eyes for the night on our way to DC. There were a couple hotels off the interstate but we chose best western because they offered the best AAA rate, however, we didn't much much sleep and woke up with back aches. The hotel is clean and average. The mattress are not so comfy and it felt like a coil spring mattress. The hotel sets right off the interstate and our room faced the traffic noise. We were also put on the first floor which isn't bad but there are 2 rooms right across from the front desk. So we could hear all the midnight people traffic at the desk and in the halls. Breakfast was ok and could have been better but they ran out of items quickly and it took awhile to replace them. I would stay here again if I had to but would stay in the opposite side of the hotel and in a different floor, plus eat breakfast elsewhere. I stayed at this hotel multiply times usually no problem with food this time the meats on the breakfast bar was cold, the bacon, the sausage. also they have lower price on website, there website, and would not give you the lower price this is not fair for large hotel as this. Clean, friendly located very near the expressway. Shower broken but otherwise a very nice stay. This is an area with little in the way of restaurants.......but what little there is, is nearby. all in all AOK. When arriving, noticed a bit of a musty smell but ignored it. The person at the front desk was very friendly and efficient. It went downhill from there. Went out for dinner and returned to find no one at the desk. We later found the desk clerk on our floor helping another guest. The poor clerk was all alone and had to do everything, leaving the front door unattended. Once in our room, noticed the bathroom fan was not working. Also the floor in the bathroom was dis colored and a washcloth had a stain on it. I have to mention that the windows should have been replaced 30 years ago. Another thing is that the walls are very thin ;we heard everything next door said and did. I do have to say that the bathtub looked new. Breakfast was nothing special either. If ever in the area again, will not stay here. "I hope this clears up my hotel review." This was a priceline stay where we waited for who would accept our bid. This hotel is rated 2.5 stars and deserves at least that. While I slept lightly due to my own fault and was able to hear cars getting on the highway ramp, my wife slept soundly. I would stay again and request a room on the front side if the building. There was an excellent selection of breakfast options and the.biscuits were amazingly fluffy, fresh bacon and 2 waffle makers as well as eggs, sausage gravy, sausage patties, fruit, yogurt, cinnamon buns, pastries, 4 juice selections, cereal...........etc. The room was clean and Internet was easy to sign in to. I would definitely consider Best Western Plus again and especially this location. This was an excellent place to stay. It was clean, comfortable, and the staff was extremely kind and helpful. The location was near a number of shopping and eating options. I would strongly recommend this location to others. Dear Ms. Suzanne P.: We want our guests to have the ultimate guest experience every time they stay with us. We try to personalize each guests stay with there needs in mind. Do not hesitate to contact me directly at (434) 955-2777 so I can help you plan your next trip with us. Respectfully: Jay R.
I stayed here again at the start of our work conference. It would be very difficult to fault this place - a large, well laid out and spotless room; very friendly staff throughout; and a really good breakfast at the start of what proved to be a challenging work week. Highly recommended and management does a great job! Dear Mr. Jason D 12: Thank you for staying with us again during your work conference. 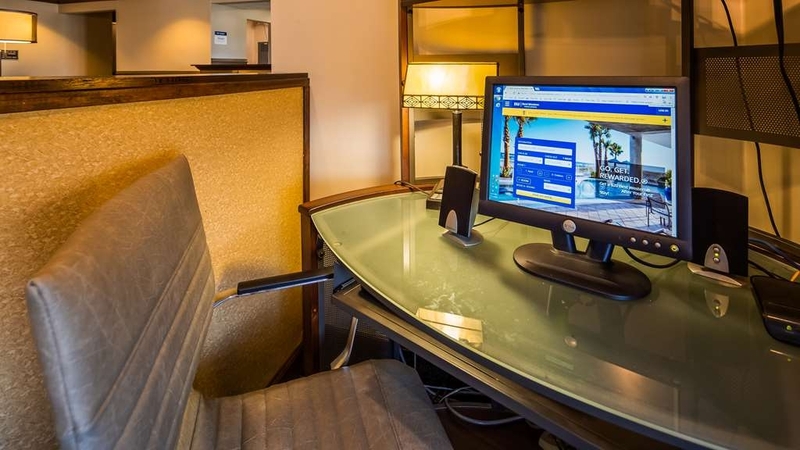 We understand traveling for work can take a toll and we here at the Best Western Plus accommodate our corporate travelers. We also try to make there stay as close to a replication of a home environment. Please do not hesitate to contact me at (434) 955-2777 so I can help you with your next work trip. Respectfully: Jay R.
Could not ask for better quality, great staff as always, great location, very clean as usual, room very clean, bed comfortable, everything worked properly. Always enjoy staying there and you will as well. Dear Mr. John S.: Thank you for staying with us again. Nothing means more to us than one of our guests that returns to stay with us again. Prior to your next visit please contact me at (434) 955-2777 so I can help you with your next reservation. Respectfully: Jay R.
Stopped around 10:00 PM and were too tired to haul everything back to the car and keep driving. The sheets and towels appeared to be clean but that was all. Carpet was filthy, bathroom stunk like urine so we put a towel down in addition to not taking off our socks. Hairs in the shower. Awful!!! I hate to give them even one star. Dear Ms. Suz A.: I do apologize that your room was in that condition. If we were notified we could have gladly moved you to another room. During your next stay with us please do not hesitate to contact me directly at (434) 955-2777 so I can expedite a resolution. Respectfully: Jay R.
1) the front desk lady was really really nice when I lost my key card in the 10mins it took to check in and get my things to door. Quick check in at 1am. 2) the beds didn't have that "comfy hotel bed" feeling. But it did have a slight smell of bleach, and I enjoy that clean smell. 3) it is noisy seeing as it's off the highway. 4) and the eggs were cold at 7am, when breakfast starts at 6:30. I'd say their warmers aren't very affective. But the staff is nice and they have military discount. Stopped at this hotel on the way to florida. Was pleasantly surprised when i checked in and got into the room. Looked very recently renovated and it had a great theme. The bed was comfortable, room was clean and not a single hair in the bathroom. Front desk called about 15 minutes later and asked how everything was and if I needed anything, to let them know. Breakfast was good and check out was a breeze. Great hotel for a great price, will come back if in the area again. Dear Mr. Mike Thompson7: It was our pleasure providing you with the ultimate guest experience while you stayed with us. Not only do we have staff members that make sure each of our guests have a pleasant stay, our location is ideal for travelers to Florida. We have located half way to/from Florida right on Hyw 85 and 58. On your way back from Florida please call me directly at (434) 955-2777 so I can help you with your reservation. Respectfully: Jay R.
My husband and I made a last minute decision to stop at this Best Western Plus and are so glad we did! The hotel is beautiful, spotlessly clean and very comfortable. We had a very sound nights sleep and plentiful breakfast the next morning. The front desk staff was extremely friendly and eager to make our stay perfect. If we ever return to the area we will absolutely stay here again. Dear Ms. Ella_Moo2002: Thank you for your last minute decision to stay with us. We love to provide the ultimate guest experience to all of our guests. Not only do our guests rooms provide each guest with a clean, comfortable and sound nights sleep, but our staff can customize your stay so you all you have to do is make memoires. Please do not hesitate to contact me directly at (434) 955-2777 so I can help plan your next trip with us. Respectfully: Jay R.
Clean, Updated, and Exceptional Customer Service Wifi, and computer access. The staff was very friendly and helpful. Easy access off the interstate. Very clean hotel. Prices are very good as well. I will come back! Dear Ms. Jessica R.: Exceptional Customer Service allows us to provide our guests the Ultimate Guest Experience. 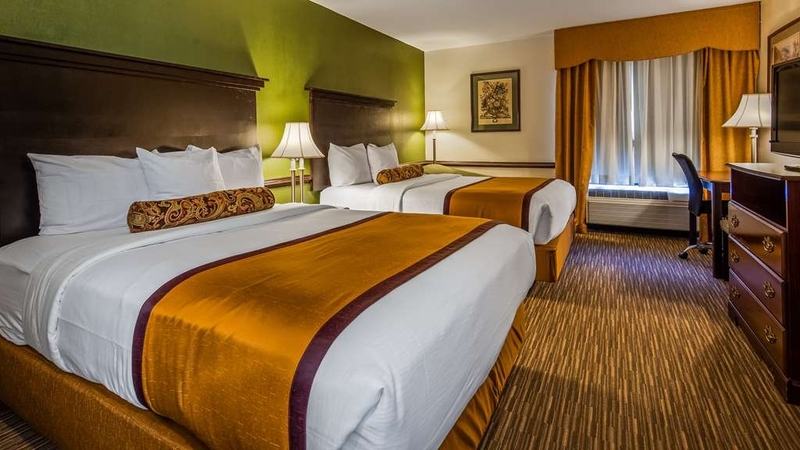 Not only does our outstanding service bring guests back, but also our clean rooms, fast internet, hearty breakfast and location on Hwy 85 and 58. Before you plan your next trip please do not hesitate to contact me at (434) 955-2777 so I can personally help plan your reservation with us. Respectfully: Jay R.
The bed in the room was so bad that I slept on the floor. I will be sure to check the beds before taking the room. It was so lumpy and hard that I never could have slept in the bed. It is sad that you pay all of this money for a room and you can't even sleep comfortable. I rented 2 rooms for a family funeral and no discounts for a funeral. I will be sure to let everyone know about this. Dear Ms. Sharon G.: First let me pass on my condolences again to you and your family, during this difficult time. I empathy with your loss because I also have had many losses in my life, as well as each of them I experienced a cacophony of emotions. In turn these emotions have affected my physical being, causing sleep disturbances and body aches and I hope that you are taking care of your self during his grieving period. Please do not hesitate to contact me directly at (434) 955-2777 so I can help plan your next trip. Respectfully: Jay R.
Another great stay at a wonderful hotel. Staff always so nice and great. Hotel is so clean, great location. Rooms are very clean, beds are so comfortable.Internet works great. You will always enjoy your stay there. We were driving through and decided to stay at this hotel because it was a best western. Hotel staff was very welcoming on our arrival and even offered our 1.5 yr old daughter some milk. Room was very clean. Breakfast was hot continental eggs and sausage gravy. All in all great stop over hotel. Would stop and stay again. Dear Mr. Michael H.: I can empathize traveling with a young child. When I travel with my son who is 2 yrs. old it can be challenging. I treat every guest how I want to be treated when traveling with my family. Proving the ultimate guest experience from providing milk to young children to making sure enough towels are provided for the families are some of our goals here. On your next trip let me take the burden of helping you with planning a trip here with us (434) 955-2777. Respectfully: Jay R.
I have stayed at this hotel several times and It was very clean and the staff is very accommodating. Every evening they always say welcome back and bend over backwards to help. There are other motels closer to where I am working but I come here because of the service and cleanliness of the hotel. Give them a try you will get double your money's worth. Dear Mr. Douglas D.: The ultimate guest service is our motto that we try live by. We want every guest to feel relaxed and have no other worries while staying with us. Thank you for being a repeat guest of ours and please let me help you plan your next trip (434) 955-2777. Respectfully: Jay R.
Very nice hotel. I don't know his name, but the guy at the desk is so helpful! Got me a taxi and the best pizza. The rest of the staff is nice, as well. I had a non-smoking room, but I could smell a bit of smoke. Not the hotel's fault. I would stay here again. Dear Ms. Nancy Annette –C: We try to accommodate everyone's need so we do offer a limited number of smoking rooms, but we also offer Jacuzzi Suites that have a full kitchen to 2 room 3 king bed suite. I was my pleasure getting you a taxi and sharing our local restaurants with you. On your next visit please do not hesitate to contact me directly (434) 955-2777 so I can help plan your trip. 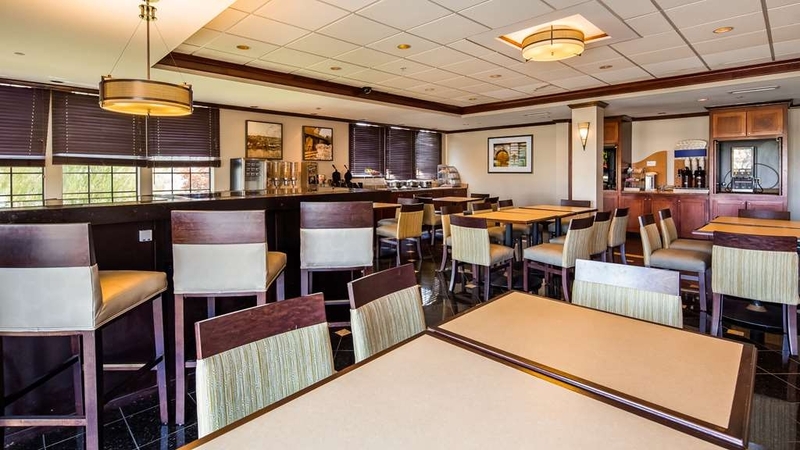 Respectfully: Jay R.
"Convenient Place to Stop on I-85"
Good Clean Best Western Plus. Very good beds and high speed internet. Good Breakfast too. The Motel is close to the Horseshoe Cafe, the best burgers imaginable. Motel far enough away for the Highway to be quiet too. Dear Mr. Pat G.: Thank you for choosing us and allowing us to provide you with an ultimate guest experience. Next time please call me directly at (434) 955-2777 so I can make help plan your next stay with us. Respectfully: Jay R.
I would recommend this hotel to anyone. although I only stayed one night. the staff was nice and friendly. check in and check out was done smoothly and in a timely manner. The rooms were clean and comfortable. Staff is very good (although housekeeping is too eager to get in in the morning). Breakfast was bad, eggs and sausage looked like hospital food. The room was nice and clean. Best part of the experience was front desk staff. Dear Mr. Emmanuel R.: Thank you for allowing us to provide you with your hospitality needs. If you have any questions or concerns 24 hrs a day our front desk staff will assist in the matter, as well as all our staff members. We provide our guests the ultimate guest experience during their stay so please let me personally assist you with your next reservation (434) 955-2777. Respectfully: Jay R.
Very courteous staff that provided quick and efficient check in and check out. Nice clean rooms and the heating / cooling system worked very well. Very easy to get onto their network and then when we left, the breakfast was excellent. The individual preparing breakfast was cheerful, easy going and willing to please. Overall stay was excellent and I would recommend this place to others that are coming to or passing through South Hill. I stay at this Hotel on a Regular Base. I Highly Recommend this Hotel. Every time I stay its always the same thing. Courteous Staff & very Clean. I am always very Impressed. Great Hotel. I Highly Recommend this Hotel for Business or Pleasure. I have never seen the Lobby messy or outside Appearance messy. Plus, this is a Hotel you would feel very safe with your Family or have your Daughter or Wife to stay by them self. Dear Mr. Tim A.: Thank you for choosing us once again. It means a lot to us to have our guests return time and time again to stay with us. Our goal is to provide each guest an ultimate guest experience, while providing an atmosphere of relaxation once you enter our doors. Next time please do not hesitate to contact me directly so I can personally help with your next reservation @ at (434) 955-2777. Respectfully: Jay R.
"hotel stay south hill va"
Dear Ms. Carol J.: Our goal is to provide the ultimate guest experience and if your stay has not meet your expectations, our staff will do what they need to in order to correct the concerns during your stay. Let me help you with your next reservation with us and we will exceed your expectations (434) 955-2777. Respectfully: Jay R.
My experience at this Best Western was perfect! The staff was friendly, helpful, and professional. The room was clean and breakfast was great. It is in the perfect location and I will stay here every time I travel through the area! Dear Katie C: Our location is convent to both highway 85 and 58 for guest to stay the night or longer with us. While staying with use our complimentary hot breakfast is a plus so our guests can get right back on the highway and not stop off again. Next time save time and call me directly so I can help you with your next reservation @ at (434) 955-2777. 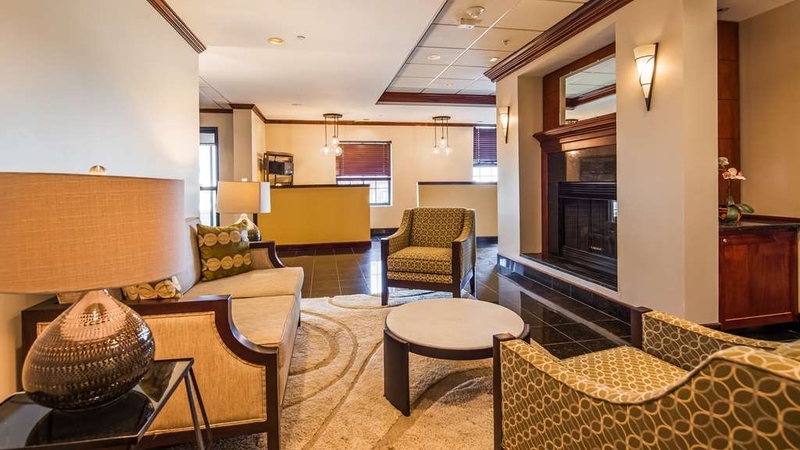 Respectfully: Jay R.
I have been traveling with Best Western now for the past year on business and this is another great property worth noting. Excellent staff, well trained and knowledgeable as well as clean rooms and great wifi. All I am looking for while on business. Also being recognized as a Gold member always keeps me loyal to Best Western. Thanks South Hill Inn team and keep up the good work! Dear Mr. JasonD12: We pride ourselves in providing more than a room to sleep in for our business travelers. We provide that personal touch that is missing when your on the road for more time than at home. One of our goals is to make every guest apart of our Best Western Family. In our eyes you are Platinum guest. For your next trip with us please contact me directly @ at (434) 955-2777 so I can help make your reservations. Respectfully: Jay R.
"Great place !! and more!" Words cant explain enough! Home away from home, Jeff and Sharon are the best! Great Place to say, A place that treats you like family! Clean rooms and Great breakfast, We have been staying here off and on for weeks! I really have to say a special thanks to Jeff..For going beyond the call of duty for us and my parents. Dear Sarah S.: Thank you for making our home your home, except that you do not have to make your bed or cook your own hot breakfast. Every one enters as a guest and leaves as a family member. Not only do we go above and beyond helping all of our guests, we try to predict the wants and needs before they occur. Before your next stay with us, please do not hesitate to contact me directly @ at (434) 955-2777 so I can personally help with your trip arrangements. Respectfully: Jay R.
"very nice people, very friendly and helpful"
It's an older hotel, and the room decor is in need of some updating. That said, the lobby is great, the service is top notch, and the price is very fair. We accidentally booked ourselves for the wrong day, but the situation was quickly and gracefully handled by 'Jay' at the front desk. Dear Terri Z.: Once you enter our lobby your ultimate guest experience begins. Let our staff take you away from the everyday hustle and bustle of life so you can spend time enjoying life. On your next trip please do not hesitate to contact me directly @ at (434) 955-2777 so I can assist you on your reservations. Respectfully: Jay R.
We have relatives in South Hill and have always stayed here. This visit was great just as all the others. You get what you pay for and it is a very clean, reasonably priced hotel to stay for pleasure and'/or business. Conveniently located and the breakfast is an added bonus. Very hard bed; difficult to rest and woke up sore in the morning. Loud and poorly functioning air conditioning in room 216. Also ugly bathroom floor. Toilet stopped up for little reason. Wash sink is right next to hotel room door. Walls did not screen out noise in halls and other rooms at 1130 pm. Breakfast selection was better than expected. Not planning to go back there. Dear Mr. Richard W.: I personally apologize that you did not have a pleasant stay with us. Please give me a call @ at (434) 955-2777 so we can discuss the concerns in further detail and I can explain what our maintenance department has done since your stay. Respectfully: Jay R.
People who travel for work like me- know how uncertain life can be. I had to check in late Sunday night and the gentleman who helped me made it quick and easy and I was in a lovely roomie no time. The room was very nice and had everything I needed to make my trip easy, comfortable and convenient- But the most amazing part was on Wednesday when I found out I needed to extend my trip. Jay Ratia, the general manager, ensured that I could stay in my room without moving, for the same rate- even though that weekend's availability was scarce. My top concern was that I had a place, but Jay took the estra time and care to ensure that the rest of my stay here was easy- I can't say how much that means. I definitely recommend staying here- and thank you to the wonderful staff and management! Dear Ms. Betsy D.: It was my pleasure in helping extend your stay and relieving your stress about making sure you had a room. I understand the importance of taking the time to make sure that our guests travel plans are confirmed so they can spend their valuable time in enjoying their travels. Do not hesitate to contact me directly @ at (434) 955-2777 so I can help arrange your next trip. Respectfully: Jay R.
"Another Fine stay at a fine Best Western"
I have stayed at this property several times in the past and it is always a very nice stay, While I realize this review is a little late since I was there in May, it was still another nice stay. The rooms are always clean with working amenities and the bed sleeps great. This hotel is great for fishermen because they have outside plugins. When I am back in Virginia in 2016 for a Gaston or Kerr lake tournament this is the place I will be staying. We only had one night...but it was so nice - from the moment we walked in the door. The staff was so friendly - the room really clean...the location the best...the linens clean and soft - the bed really comfortable - we both had a great nights sleep. Breakfast the next morning was complete - from the fruit and juice, to the hot coffee...the waffles, the eggs, the bacon...can you tell we really liked this place - and the price was great. Our room faced the highway - but we didn't have a problem at all with highway noise. The A/C was quiet and efficient - there were enough outlets for all the electronics. We stayed here 2 Saturdays going and coming from North Carolina. It is in a great location, easy on and off to I 85 and VA 58. The breakfast was really fresh and well stocked; it was kept hot and replenished. We had a double queen room with quality linens and firm mattresses. The room itself was mediocre, but we both had very comfortable sleeping both times. The only negative we reported is that the side door of the building to the pool and parking does not require your key. It remains unlocked for anyone to enter. Not very safe. For our second stay we were charged more than the quoted rate. One phone call to Sharon, and our credit card was reimbursed. We are Best Western Rewards members, so we try to use Best Western all of the time. We have had only one complaint in 10 years, always get the best rate, and are always treated very well by the staff. I highly recommend joining the Rewards program. "great place to stay, friendly staff, very clean"
Excellent time. Room was clean, staff was friendly. Continental breakfast was delicious with a good variety of food each day. It was peaceful and quiet. The wireless internet service was good. We have no complaints. We will definitely go back again. Displeased with Best Western staff to remedy incorrect reservation issue. Neither the clerk nor customer service were helpful in avoiding a double charge for an unused room at a different location. gojnehe djjsuyuen jjduudggebfjfiifk. Very Clean hotel, great staff. Breakfast is more than enough. Rooms are clean, beds are comfortable. Staff are friendly, kind, helpful. Location is near all shopping and eating establiskments. Checkin and Check out is quick and easy. Owners and family will always try to help and assistance. In the past, I was pleased with my stay. This stay was very uncomfortable. Room did not smell clean, broken drawer removed from dresser instead of replaced. AC did not cool. Dirty towel left in bathroom from previous guest. General Manager did not seem to care whether I was satisfied or not.